place. Where to go and getting there. Places to see and things to do. Some plan their trips in detail, while others will “go with the flow” of a loose itinerary. Sometimes your route will be planned to coincide with RV rallies. Whether the rally destination is nearby or across the country, there are bound to be interesting stops along the way. Or your path might be geared toward visits with friends or family in different places across the map. Working RVers might tailor their travel to fit with the needs of a job. Or the RVer may simply have a desire to get to every state, province or interesting place they have yet to see. experiences. The possibilities seem endless. landscape throughout the U.S., Canada, Mexico and Central America. learning and planning a future trip. Alaska RV Adventure: Adventure of a Lifetime A video excursion into Alaska by RV. America’s Most Scenic Drives Beautiful DVD set with plenty of ideas for where to travel. Visit Appalachia: Info and travel ideas for the 13 states that make up Appalachia, including recently released driving tour map. Canada E-book – an instant download! Okanagan Vacation Guide: Helping you explore and discover beautiful British Columbia Canada. Ontario Campgrounds/RV Parks: Use this huge list of Ontario Campgrounds, Trailer Parks and RV Sites to help plan your next camping adventure. White Lake Ontario: Learn abou this area of Ontario — including things to do, camping opportunities, trailer and cottage rentals. Holiday Trails Resorts: Largest multi-park system in Canada with RV campgrounds in Washington, British Columbia and Alberta. dancing, motorcycle rides and the historic Apache Trail. Arizona: Quartzsite: An inevitable RV trek – our notes on where to find the BLM boondocking spots. Southern Arizona RV Travel: Some ideas for sights to see, from our personal RV travels. Arizona: Verde Valley We enjoyed the local sights and our stay in a very nice park. Arizona: Sedona Famous red rock landscapes. Arizona: Grand Canyon We did a lot of hiking to appreciate and enjoy this natural wonder. Page Arizona and Lake Powell We splurged on a boat trip to see Rainbow Bridge and the massive lake. Arkansas: Hot Springs Celebrating the golden age of the baths, this boyhood home of former President Bill Clinton is a place worth visiting. Branson, Missouri: A great RV travel spot. Plenty to do, ways to save on shows. Don’t miss Silver Dollar City. Check out this website – just what the beach lover wants to know about California beaches! Discover Northern California: Explore the variety offered in this region. Catskills & Hudson Valley NY: Some first-hand insights and fun facts. Read about the two Florida’s we mentioned in the June edition of RV Days. San Juan Mountains, Uncompahgre National Forest and Blue Mesa reservoir. To say nothing of the charming and picturesque towns. Florida RV Trip: Comments from our RV travel in Florida. And here is a handy online guide to Florida. Georgia: Jekyll Island, Savannah, Perry, Tybee Island and more. parents, who accompanied the hikers in their RV). Glacier National Park in Montana We loved our stay in this fantastic setting. Chocolate Town Hershey PA offers sweet attractions and a jumping off place to learn about Gettysburg and the Amish. RV Capital: Elkhart Indiana RV Museum and factory tours are a must see for your RV travel! Family Campground), beaches, restaurants, starfish, alpacas and more. Romantic Lake Michigan: Romantic travel destinations along Michigan’s west coast. Scenic Pathways is a site offering very good coverage for RV travelers around Lake Superior in Ontario, Michigan, Minnesota, and Wisconsin. better from there. From Gallup New Mexico to Acoma, Albuquerque and Santa Fe. Adobe, balloons and more! Nova Scotia: Coves, Coastlines & Ceilidhs A trip to the Maritimes that we will make again. 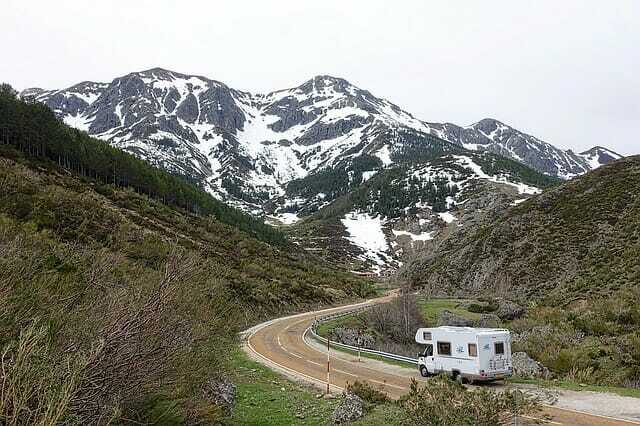 This is a great area for RV travel. We loved the magnificent Oregon Coast from Seaside to Florence. Prince Edward Island: Green gables, blue skies and red clay all part of our memorable trip to PEI. Places to RV: Some miscellaneous stops along the way from our personal adventures. Rhode Island: Good things come in small packages. Plenty to see and do. RI & Connecticut Beach Guide: Good info for travelers to southern New England. North Carolina: Our visits included Holden Beach, Pinehurst and the Crystal Coast. South Carolina: On our RV trips to South Carolina, we visited Hilton Head, the Sea Islands, Low Country, Myrtle Beach and more. San Diego and a stroll across the border to Tijuana. San Francisco Travel Guide: Tourism and travel guide, find the best of San Francisco. Thousand Trails Parks Comments on the 1000 trails parks we have visited as part of our RV travel. Tennessee Travels: Including Pigeon Forge, Dollywood, Great Smoky Mountains, Nashville and more. Texas RV Trip: Various stops along our journey in the Lone Star State. Texas- Fredericksburg: A charming German heritage town with LBJ ranch and famous Luckenbach nearby. Texas- San Antonio: A sampling of sights worth seeing in this pretty Texas town. Southwest Utah: A colorful assortment of scenic spots. We consider our RV travel in southwest Utah as some of our top destinations. Utah: Cedar Breaks We enjoyed the wildflowers and a welcome change from summer heat. Utah: Zion National Park Highlights include the climb to Angels Landing. Utah: Bryce National Park We enjoyed our trip to the land of the hoodoos. Utah: Capitol Reef National Park Read about our fruitful stay. Utah: Scenic Byway 12 We boondocked a few times to see some of the local scenery. Utah: Arches National Park Fun formations and the start of a visit from a special pal. Utah: Canyonlands National Park An expansive area to explore. Utah: Salt Lake City Worthy of several days stay. Wyoming: Cody and Yellowstone: Great fun, wildlife, scenery and a workamper job! to see to the world. Trip Routing Our ideas for planning your RV travel journey. campground expenses to fit your buget and desired RV travel experience. Think about both the type of journey and the type of stay you want to have. How long do you plan to be in a given location? Is getting there quickly more important, or do you prefer a leisurely pace? RV Travel is also about Getting There. Read More.